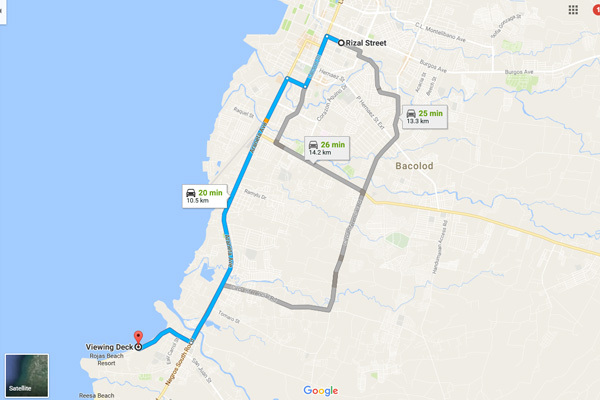 Craving for seafood in Bacolod ? We spent last long weekend in an overnight stay at Villa Iska Beach Resort in Pta. Tay Tay, Bacolod City, Negros Occidental, Philippines. 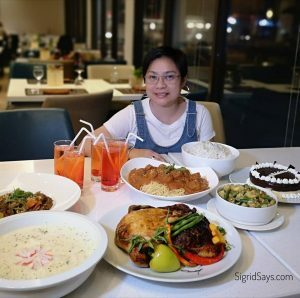 They have a simple open cafe with a wide assortment of dishes but when I asked what time they closed, I was told that their cook leaves the cafe at 7pm. So I thought it would be best to just scour the area for good eats, though in a simple, humble setting. I remembered then that there is what they call the Pta. Tay Tay Viewing Deck–a line of floating restaurants by the side of the sea where diners can get a good view of the sea while spending their time there during the day. At night, you can just enjoy the cool breeze from the sea, as it is too dark to see anything anyway. Anyway, we didn’t know where to go so I asked the first guy I saw on the way out. It turned out he was the cook of Villa Iska who was about to retire for the night. haha And he also had no idea what to recommend because he has never tried the viewing deck restaurants. While standing by the roadside, contemplating what to do, we saw some tricycles passing by and we thought of leaving our car and just commute. It turned out to be a great idea. For the five of us (2 kids), we were charged P30 one way (from Villa Iska to the Viewing Deck). Not bad. It turned out to be Big Joe Eatery or Viewing Deck 8. You see, there are 18 eateries in the area and each one is a assigned a number. Many of them have bigger spaces but Big Joe doesn’t have a facade along the roadside. For his place, you have to walk about five meters going inside in order to reach the entrance to the restaurant. As with all floating restaurants, the place is made of bamboo and other native materials. 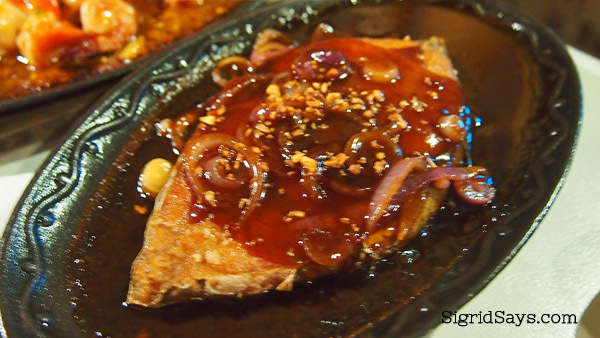 And of course, they serve mostly seafood dishes as well as other Pinoy favorites. 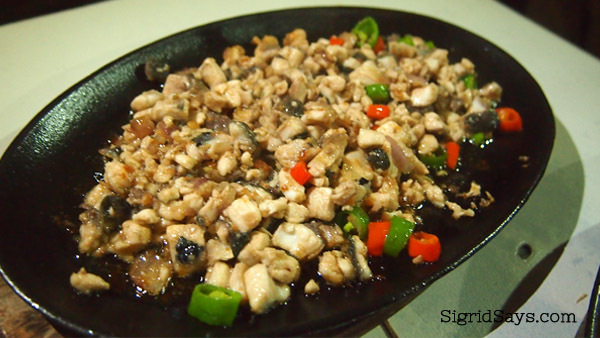 Sizzling bangus sisig–this is so flavorful. 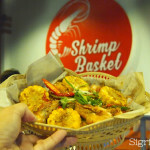 But since we are on a seafood binge for this outing, we picked top 5 seafood dishes that we thought could everyone in our family, ages 41 to 3, would like. So we ordered bangus sisig (P150 for a whole shredded bangus), gambas (P150 for 250 grams), sizzling squid (P100 for 250 grams), tangigue steak (P180), and sisi (little oysters, P50). We were pretty hungry from all the swimming so we couldn’t wait for our orders to be served. First they served the rice. For P10 per order, we got a huge cup of steamed white rice. Sorry I forgot to take a pic of how big the rice is. We ordered a 1 liter bottle of Royal Tru Orange and it was only P45. 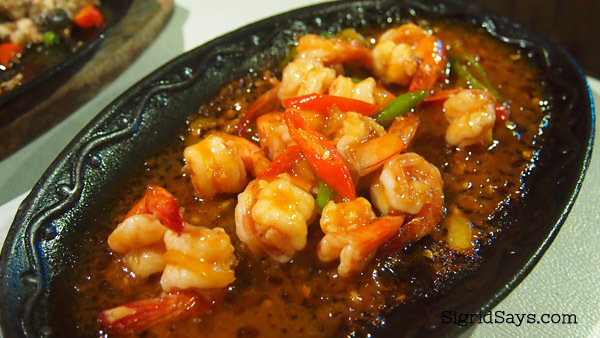 Sizzling gambas, P150 for 250 grams of shrimps. 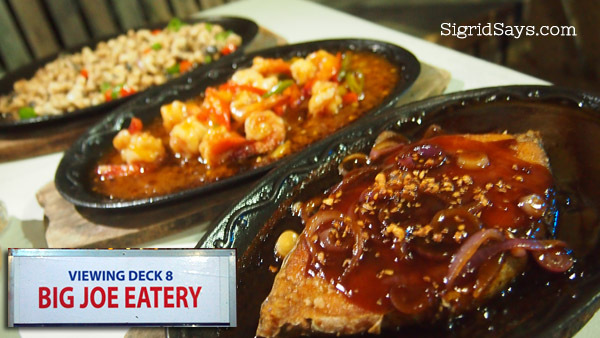 What was served next were our seafood orders and all of them were set on sizzling plates (except for the sisi). Oh my gosh! Everything smelled and tasted soooo good! Hubby and I, both suckers of seafood, loved everything. The dishes were well-seasoned and tasted just right. Even the sisi was tambok (fat). 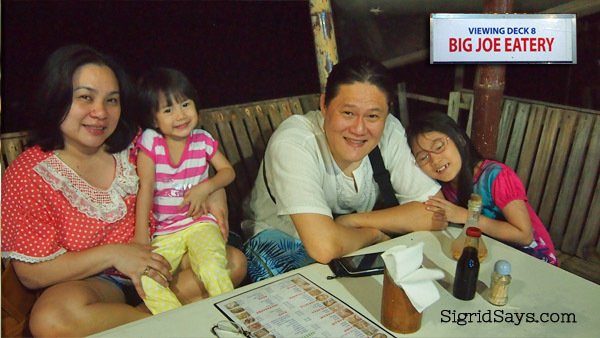 The kids liked the fish dishes–Dindin loved the tangigue steak while Siobe liked the bangus sisig. 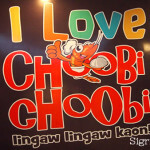 We had a great and filling meal for only P750 in all! 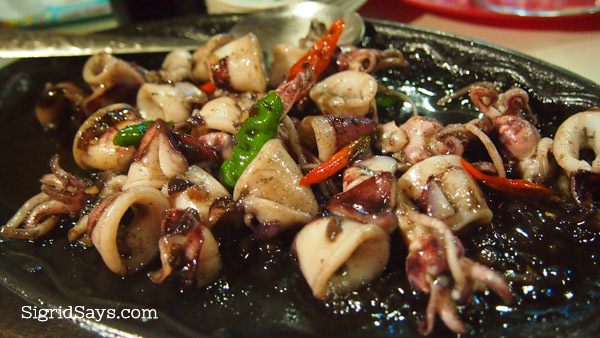 The sizzling squid was a surprise–they included the ink, which is not usually done in other restaurants I’ve visited–and it was sooo good! Spicy, too. 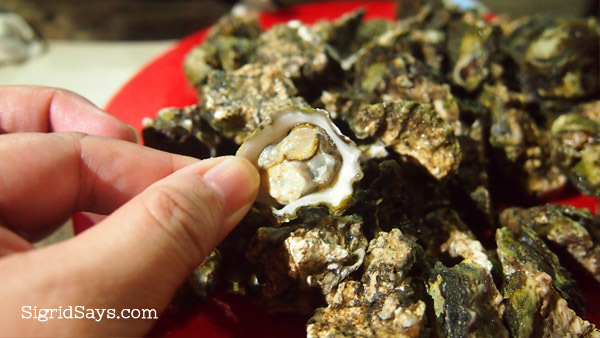 This is sisi–small oysters. They are fat, filling the shell to the edge. The downside is that since this is a small eatery, they don’t accept credit card payments. Cash payments only. And also, it’s not air conditioned, but that’s okay because it’s actually breezy. We occupied on the table on the farthest end, near the water. As for sanitation, don’t ask me about it. All I know is that the utensils were given to us in a small cup, steeped in hot water. But we are very happy. The tricycle driver did not make a mistake bringing us here. 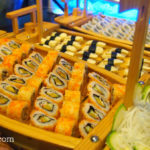 Everything that we ordered satisfied us and more, because the orders were quite big for the price. 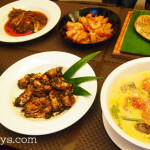 So if you are not really very squeamish, you can find good Bacolod eats like these at an affordable price. And you will already be happy. Big Joe Eatery at Pta. Tay Tay Viewing Deck, Bacolod City is open daily, from around 5am to 10pm. And because this is by the sea, you are in for a leisurely meal with the smell of the sea. An evening of leisurely dinner with our family at Pta. Tay Tay viewing deck. Check out where Pta. Tay Tay Viewing Deck is from downtown Bacolod City, Negros Occidental, Philippines. Image from Google Maps.